Yoga is the physical, mental & spiritual discipline originating in India. The practice facilitates the attainment of a state of perfect spriritual insight and tranquility. Join a Yoga Retreat on the sparkling Maroochydore Sunshine Coast Beach. Yoga enhances strength, endurance and flexibility which aids posture, increased body awareness, aligning of the spine and stretching the muscles. Numerous studies have shown that meditation has health benefits related to the decrease in stress that occurs through meditation. For example, with lower levels of stress and anxiety, the probability of heart disease can diminish significantly. There is a growing awareness of the link between our state of mind and physical health. Quite often physical ailments are symptoms of inner turmoil. Meditation can give us peace of mind, and this can be a helpful step in avoiding many stress related ailments. Meditation has also been shown to relieve pain associated with certain illnesses. How often do you find yourself victim to your own negative thoughts? Some people are even of the opinion that it is impossible to control your thoughts. However, the art of meditation teaches that, not only is it possible to control our thoughts, but, we can learn to detach from them completely. Through meditation we can bring our unruly mind under control. This creates peace of mind and enables us to achieve what we want to. When we live in the mind it is easy to get distracted by small irritations. For example, maybe we find it intolerable to be kept waiting in a line, or we get upset by a small misdemeanour of another person. The solution is not to avoid these minor problems, because they will keep appearing no matter how hard we may try. The only effective solution is to develop detachment and keep things in perspective. A powerful benefit of meditation is that we are able to detach ourselves from these insignificant, yet irritating thoughts. This detachment is not indifference, it is just that we are able to maintain equanimity in the midst of life’s inevitable turbulence. Meditation takes us to the source, which is to be found in our own peace of mind. If we have no peace of mind and are constantly attacked by negative thoughts, being present will remain elusive, no matter how successful we are on an outer plane. It is perhaps hard to imagine that poise can occur from the simple act of being. However, if we can meditate, we will discover an unexpected source within our own self. Meditation shows us that mindfullness is not dependent on outer circumstances, but on our inner attitude. Be it work, sport or music, concentration is essential to fulfill our potential. In one pointed concentration where there is great power; our energy and focus do not get dissipated. When we have concentration we can do more in less time. Through meditation, we gradually improve our powers of concentration. This focus can be used for both meditation, and also other activities we engage in. When we live in the thinking mind, we are usually preoccupied with the past or future. When we spend our energy on the past and present, we cover up our natural spontaneity and creativity. We may feel we have neither creativity or spontaneity, but, if we can learn to silence the mind, we realise that we have far more potential than we currently believe. Some of the great thinkers and scientists were able to make important discoveries when they could absorb themselves in their work, to the exclusion of all else. Meditation helps us to live in the current moment, and thus can help us to unlock our creative potential. The benefits of meditation are real, but, it also requires perseverance. It is a mistake to expect all these benefits in the first few attempts; the mind takes time to tame. Also, it is difficult to explain all the benefits of meditation, because it involves a state of consciousness that cannot be expressed by words. To appreciate the benefits of meditation, it is essential to meditate yourself. Alas, it is not sufficient to just read about it. Start meditating today! 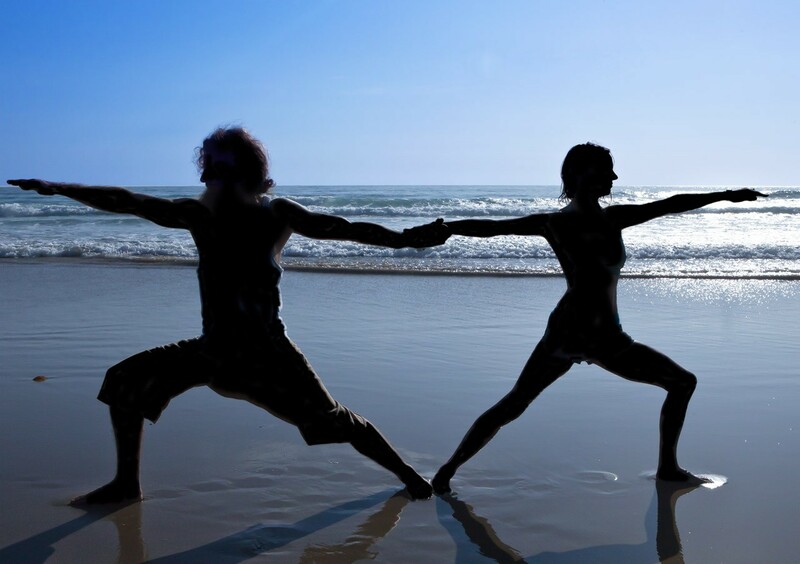 Beach Health Retreat offers customised private yoga retreats with yoga and meditation facilitators who have trained through the lineage of Yogananda and Krishnamacharya. Your personal yoga retreat private lessons starts with breath work paired with simple yoga asanas and ends with Savasana. Savasana is the final relaxation stage which enables the body to understand the new information it has received through practicing yoga. In the comfort of your apartment or your private rooftop at our luxurious beach front yoga retreat . The park or the beach for the ultimate nature experience. private sessions can also be arranged with our yoga retreat facilitators by the hour. Please contact Beach Health Retreat to organise your session.